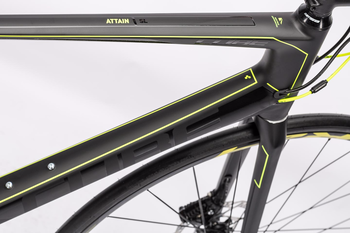 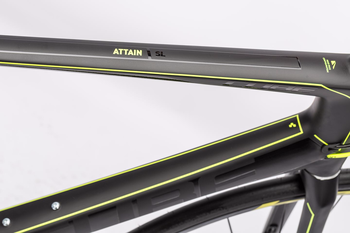 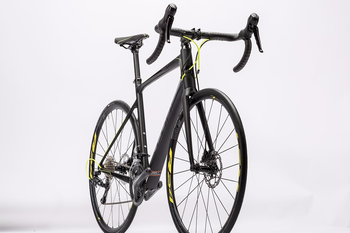 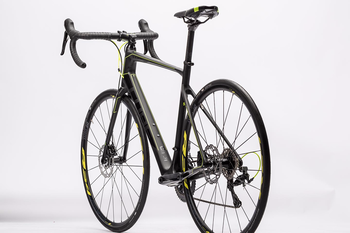 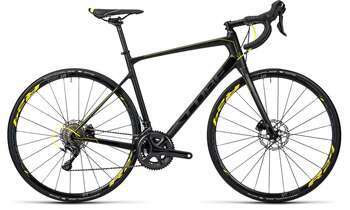 The Attain GTC SL Disc - a suprisingly comfortable, high performance long-distance race bike - is the highlight of the Attain model series. 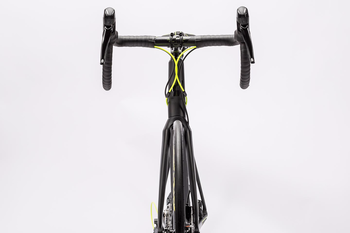 It's so efficient it feels right at home at the head of the peloton, whether on a long climb or twisting descent. 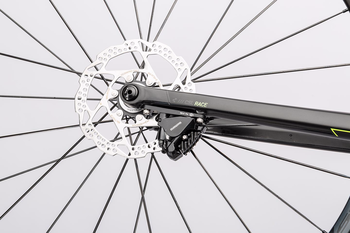 Cutting edge disc brake technology means the best possible braking performance with big safety reserves, even at high speed and in adverse conditions. 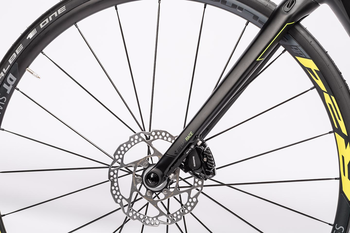 Disc brake forces necessitate a different approach to frame design and construction. 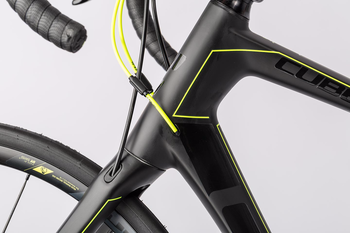 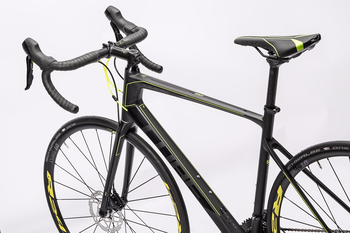 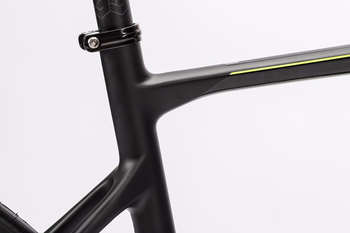 That's why our new Comfort Flex carbon frame is equipped with X12 quick release axles at front and rear. 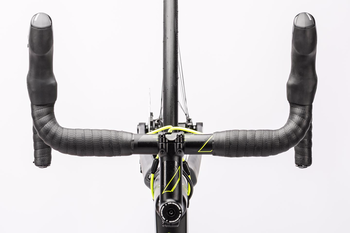 They massively increase the frame's stiffness - the same reason we opted for a tapered head tube with integrated headset to plug the CSL Race carbon fork into. 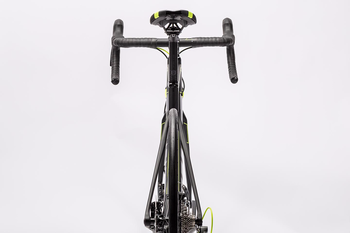 In complete contrast, we incorporated our Aero Flex Stays into the rear end, in order to make this racing machine comfortable as well as efficient. 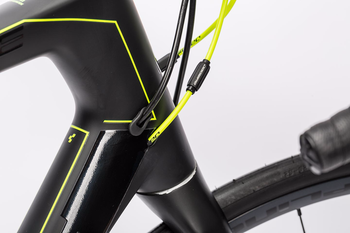 To maximise service life and clean up the bike's appearance, we routed all the cables internally. 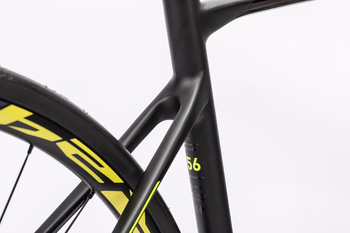 A PressFit bottom bracket ensures long-term smooth running and efficient power transfer, and we've even allowed for winter training rides by including room for mudguards. 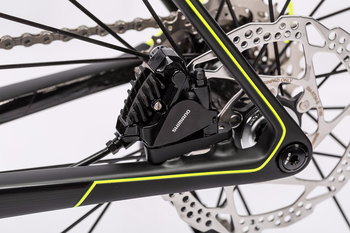 It would have been a crime not to select Shimano's Ultegra groupset for the Attain GTC SL Disc - and the same goes for the Shimano BR-RS505 hydraulic disc brakes. 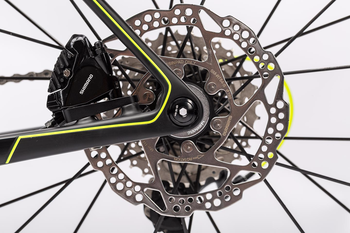 Power is transferred via a compact chainset with 50 and 34 tooth chainrings, while at the rear an 11 speed cassette funs form 11 to 32 teeth. 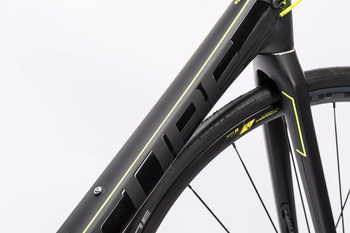 Plugged into the dropouts at each end are the amazingly fast DT Swiss Spline R24 wheels, anchored to the road via grippy and fast-rolling Schwalbe One Kevlar tyres.